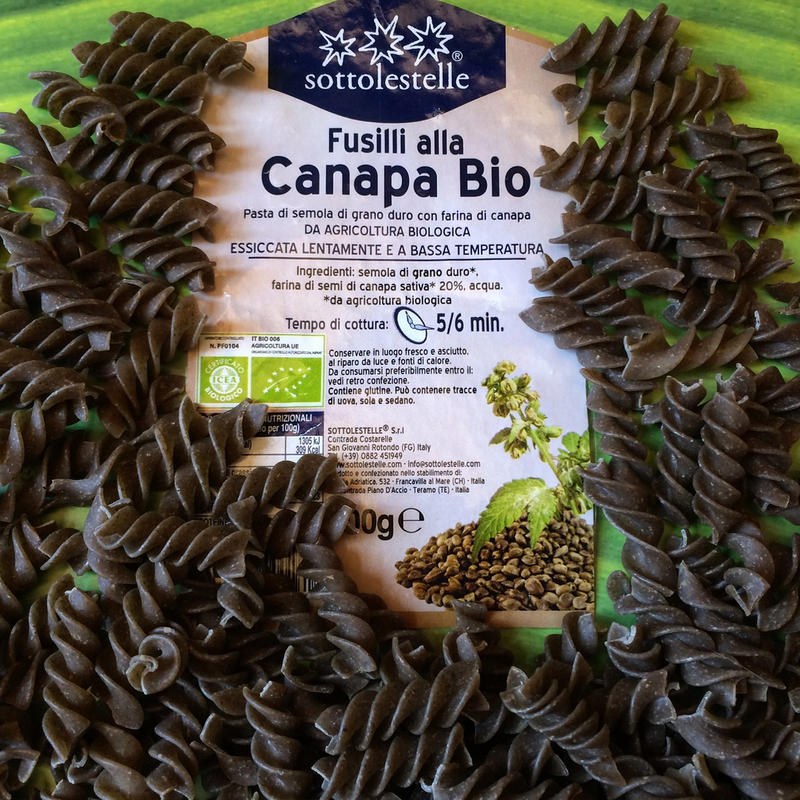 Dear friends returned from a trip to Italy bearing this gift: Fusilli alla Canapa Bio. Canapa? My Italian may be a little rusty but I was pretty sure canapa means cannabis. My thoughts immediately went to making a big pot of “pot pasta”, perhaps even developing a recipe called Pollo alla Canapa – you know, pot in every chicken – until I read the label a little more closely. This was organic hemp fusilli – 20% hemp seed flour, 80% organic durum wheat semolina. 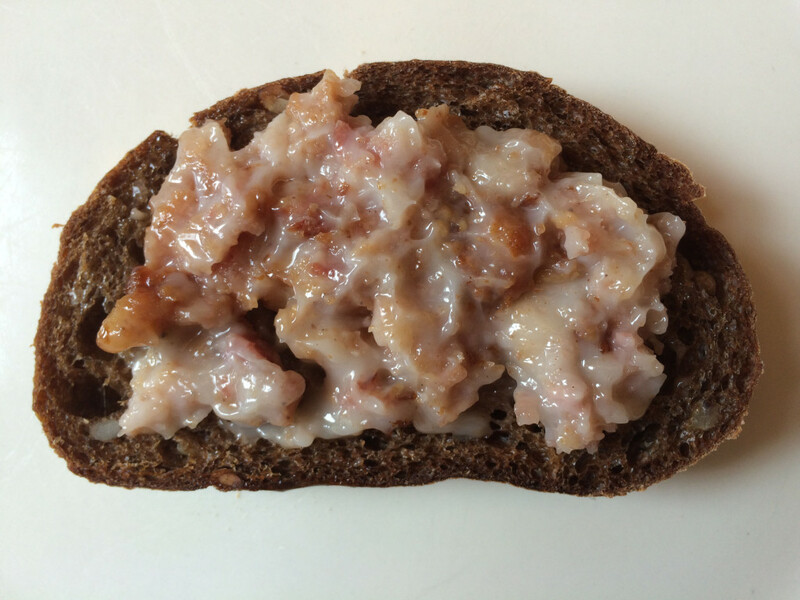 It tasted very much like whole wheat high fiber pasta – the only thing “high” about it. Not sure if the wheat was stone ground. And in case you’re curious, it did not cause the munchies. Goodness, Gracious, Great Balls of…Fish? You’ve undoubtedly seen these if you shop at Asian markets whether Chinese, Japanese, Korean or Southeast Asian because they’re a favorite everywhere in that part of the world. 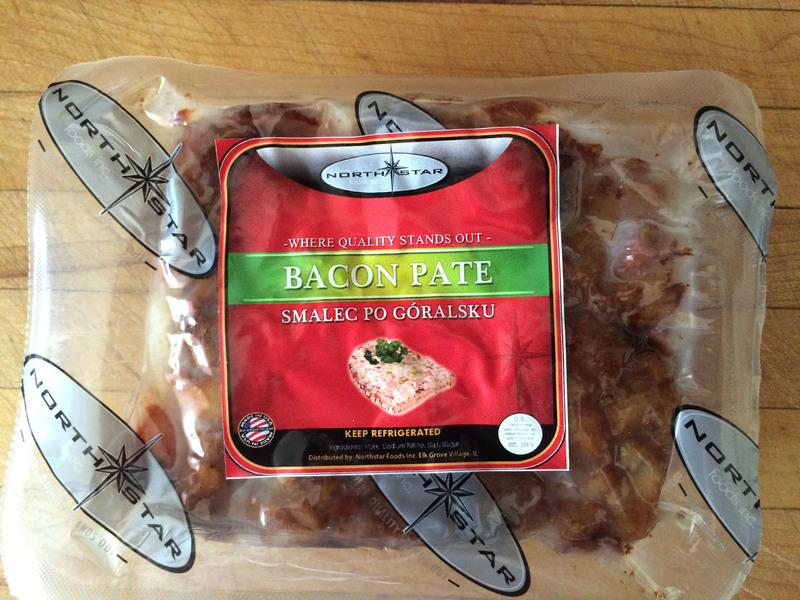 (Scandinavia has its own variant, but we’re not going to venture that far north this time.) There are even fish cake emoji like 🍥 (narutomaki) and 🍢 (oden). In local Asian markets, you’ll find fish balls and fish cakes in the freezer case packaged in bags or plastic wrapped in a small tray, but if you’re lucky they’ll also have bins of loose assorted varieties where you can cherry-pick as many or as few of whichever ones suit your fancy – my style of shopping, of course. 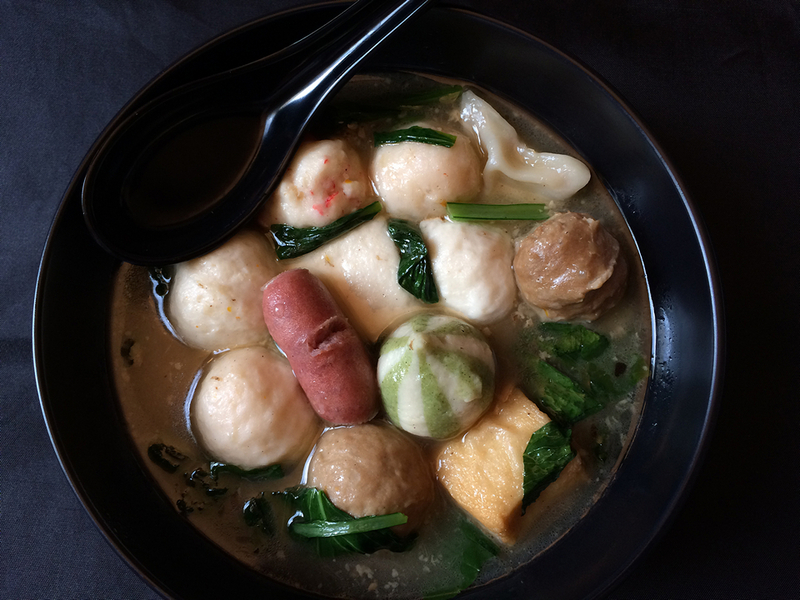 At their most basic, fish balls are made of fish paste: finely ground fish (pulverized and pounded), egg white, starch, plus a little seasoning. You may have also encountered fish paste as Japanese surimi which is used to make imitation shellfish like the crab stick you see in those ubiquitous California rolls. Incidentally, you can often purchase a few types of fish paste by the pound at the larger markets in the fresh fish/meat department. 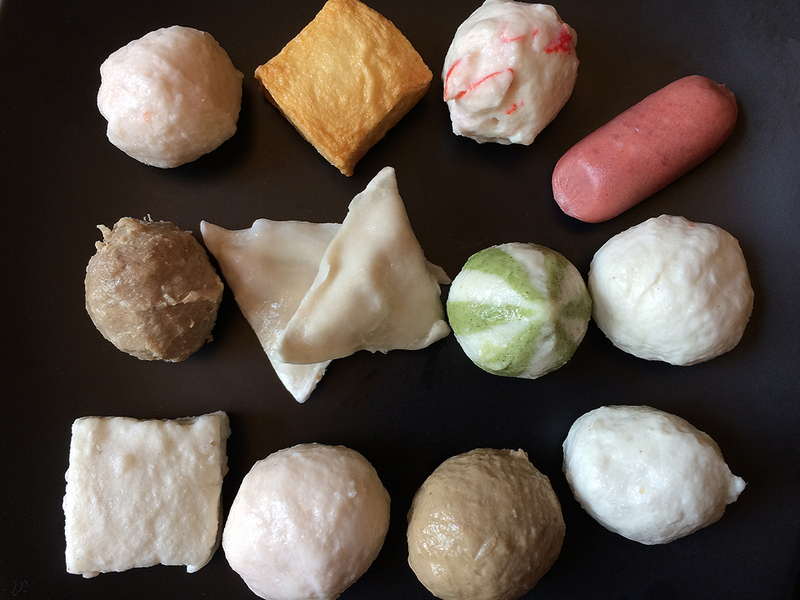 These are generally the stores’ own blends and are worth trying, but they’re easier to work with as filling for a dumpling or stuffing a vegetable, dim sum style, rather than for rolling your own fish balls, so I strongly recommend getting the ready-to-go frozen ones as an entry level fishy requisite. Anyway, I was shopping at Jmart (136-20 Roosevelt Avenue in the New World Mall in Flushing, Queens) and fortuitously happened upon one such bin – fortuitously because I had just made a savory Chinese duck soup from a pair of carcasses that contributed their meat to a Thai duck salad I crafted and I had been trying to decide whether to put noodles or dumplings in it. This bounty made the choice easy – and now I had the perfect excuse to buy a few of each kind. Preparing them is a piece of cake (no, not fish cake) because they’re already cooked. The easiest method is to simply drop them into boiling soup/water; they’ll float to the top when they’re good to go. Alternatively, they can be fried and served with just about any Asian dipping sauce; you’ll find them on skewers at some food trucks, and I’ve seen them served with a curry sauce as well. Obviously, they’re incredibly versatile. The flavor is mildly fish-like (except for the ones made from meat which are mildly beefy or mildly porky) which partly accounts for their affinity for various dipping sauces and also for their adaptability in combining with other ingredients. 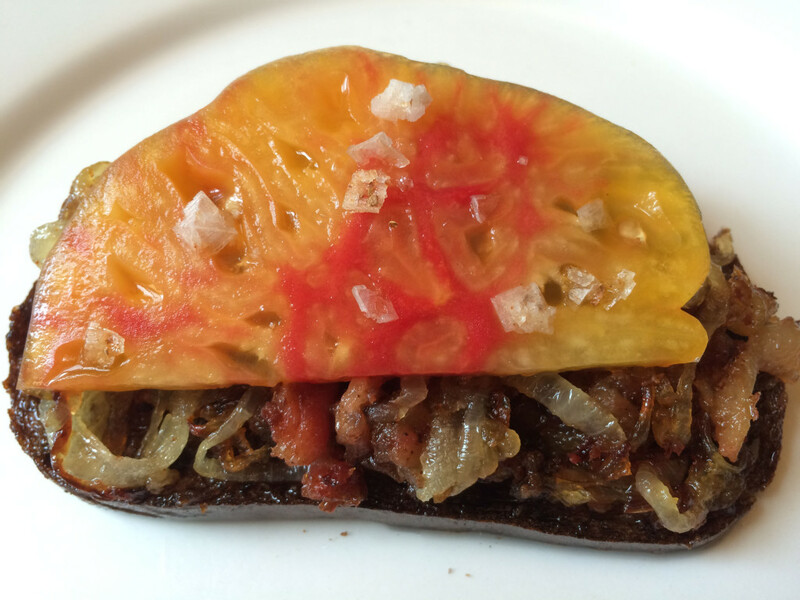 The texture is tender and frankly springy/bouncy, but in a happy way. The final photo was taken just before adding more soup since it would have completely covered them up; there are some greens in there for good measure. It is written in some ancient tome, or so my rather hazy understanding would have it, that during times of inclement weather the more sagacious among us hunker down in our kitchens and prepare mass quantities of pain perdu. Otherwise why would so many well-meaning mediarologists exhort us to make a beeline for our local supermarket in a frenzied quest for whatever remains on the shelves of bread, eggs, and milk? So following the spirit of the law, although not the letter, I made the obligatory pre-disaster pilgrimage to stock up on essentials. I returned home and gingerly set my lumpily filled bags down outside my door. I was fumbling with the keys to my apartment when my neighbor, affectionately known to the denizens of my building as Windy, emerged. Windy had a wiry frame and wore owlish Harold Lloyd glasses. His shaggy gray hair was usually half hidden beneath a weathered Australian cork hat. Somehow the corks were always in motion, even when Windy stood still, bobbing about as if propelled by some unseen force. “Um, yeah. I mean, no, not really. I’m not planning on making French toast.” The contents of my limp plastic bags were redistributing now, making themselves more comfortable on the dingy tile floor as I continued to grapple with the lock. Windy himself could generate a gale greater than even the most virulent hurricane might ever aspire to. Having pretty much exhausted his supply of snowstorm metaphors, he went on to do what he did second best: pry. “Got yer emergency preparedness kit ready?” He craned his neck and peered into my bags to inspect their contents. I slid them out of his line of sight with my foot. “Sure thing,” I lied. “I’ve got wind-up batteries, sustainable “last-forever” wick-free candles, and solar powered #2 pencils, sharpened, of course.” At that moment, one of the bags shifted and my bottle of Sriracha tumbled out. “It’s Sriracha. 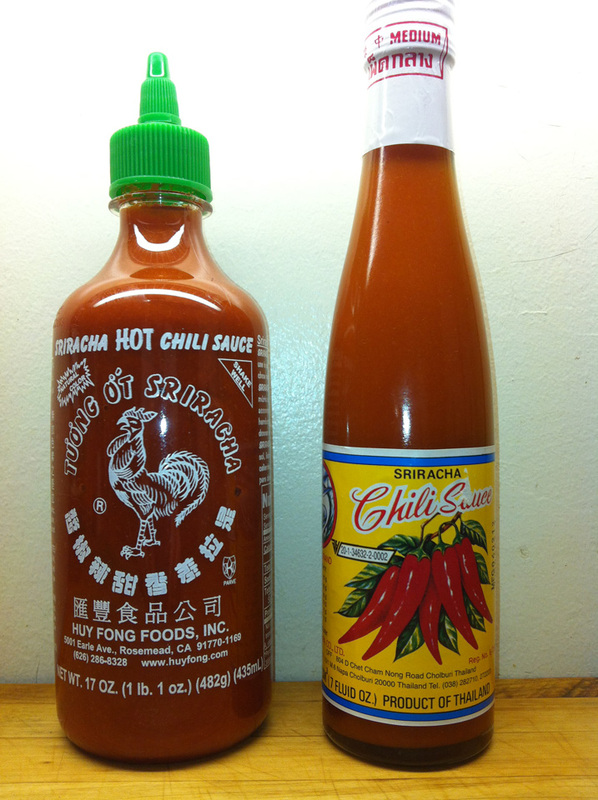 Like a kind of hot sauce,” I replied, stuffing it back into the bag and finally pushing my door open. He interrupted, “No, no, I mean what’s the difference which one you get? Sriracha is Sriracha. Okay, I gotta go back inside and watch the storm.” He pivoted on one Birkenstock and marched back into his apartment, corks bobbling wildly, never allowing me to inquire as to whether he thought mayo is mayo or cola is cola. I scooped up my bags and lugged them into my apartment, bemused by the interchange. But my reflection on our conversation wasn’t because of Windy’s dismissal of my brand preference. If Windy knows about Sriracha, everybody knows about Sriracha. Years ago the darling of a few culinary cognoscenti, the stuff is now ubiquitous. Huy Fong brand (with the rooster imprint) was developed in 1980 in California by a Vietnamese-American; by 2010 Bon Appétit magazine had crowned it “Ingredient of the Year”. I’ve spotted it gracing the tables of diners and restaurants having no pretense of being Asian. It’s in every supermarket – they even sell it at Bed, Bath & Beyond. And now it’s available in individual packets like ketchup or mustard, not to mention their line of Sriracha popcorn and chips. 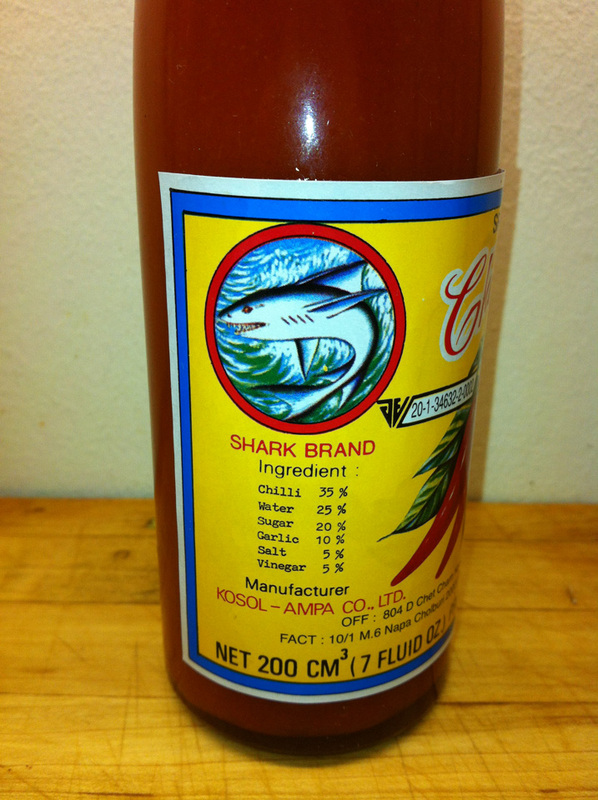 Shark brand, the favorite of Andy Ricker of Pok Pok fame, is a product of Thailand and is markedly distinct from Huy Fong. So pitting the rooster against the shark, let’s examine the differences (with apologies to Windy). Huy Fong is tangier and sharper (think horseradish kind of sharp) with a coarser texture and tiny bits of chili within. Shark is thinner, sweeter, more garlicy, more vinegary, a little herbal and significantly brighter. 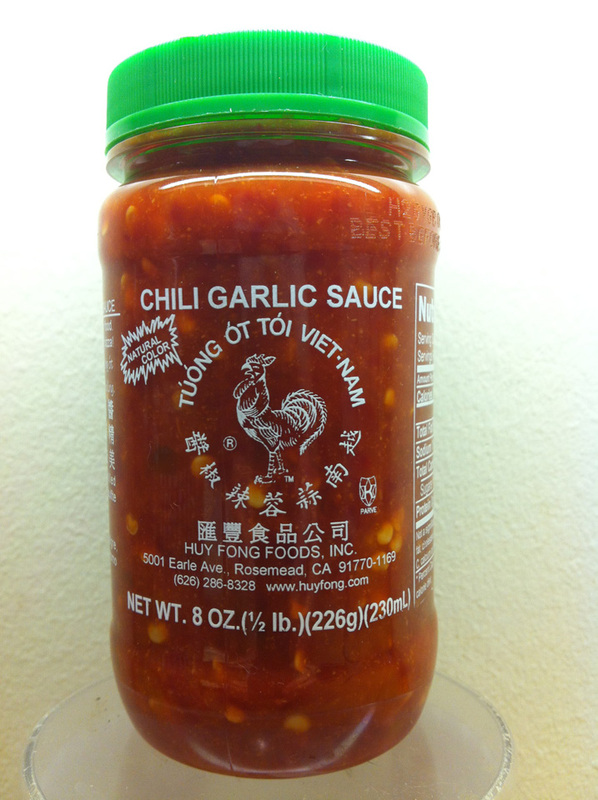 Incidentally, Huy Fong also makes a chili garlic sauce, available in 8 ounce jars, that’s thicker than their Sriracha (you would spoon it out rather than squirt it); it’s earthier, more garlicy, less sweet and less vinegary. 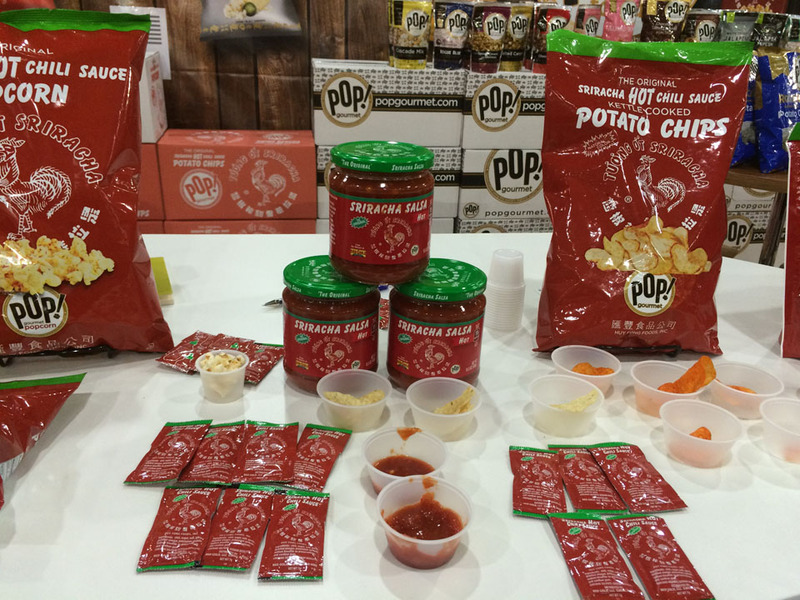 Just for kicks, I tried mixing the two Huy Fong products together and I thought the combination was great – not to mention that if you try this at home, seasoned Sriracha aficionados will ask you which brand you’re using. Simply smile coyly and say it’s your custom house blend; it’ll be our little secret. Which do I like better? 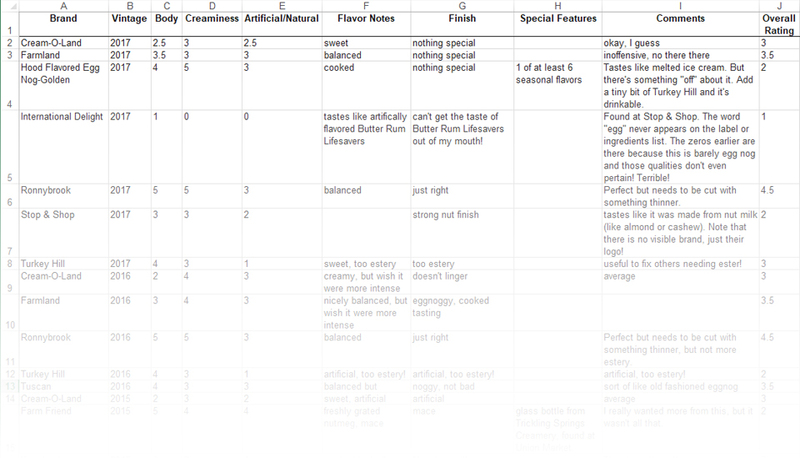 It depends on what I’m doing with them, but I lean more towards Shark for straight-out-of-the-bottle applications. And yes, there are plenty of other brands as well. Perhaps I’ll write about those when my emergency preparedness pack needs replenishing during the next Blizzard to End All Blizzards.